The United Automobile Workers Local 2865, which represents student employees, is currently in the process of contract bargaining with the University of California across campuses for more affordable housing, improvements to Title IX investigations and better wages. UAW 2865 serves both graduate and undergraduate employees, most of them teaching and research assistants. 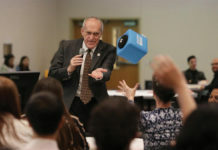 At UCR, meetings between the bargaining unit and school officials took place on June 6 and 7. Testimonies and discussion were open to the public, after which the union bargaining team and school officials met in a closed meeting. During these, professors and students shared their experiences regarding issues such as sexual harassment and difficulties finding adequate childcare options for working parents. 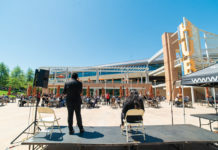 “Title IX will never not be broken,” said Jennifer Doyle, a professor with the UC Riverside Department of English quoted on the UAW 2865 website. “Slowing down the grievance process until the Title IX investigation has been completed is an unreasonable ask of student workers. It exponentially magnifies the harm.” An article in the Daily Breeze reported that 113 sexual harassment cases occurred within the UC system between 2013 and 2016. These were only the cases in which investigations had been completed. A recent petition by the union with over 1,000 signatures was put forward to the administration for consideration. 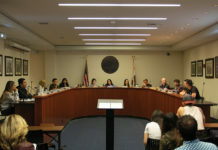 “Students and workers across the UC face high rates of sexual violence and sexual harassment,” it reads, “and members of our union who have experienced sexual violence and sexual harassment report numerous unfair experiences as a result of the Title IX process.” The petition proposes ensuring timely responses to reported violence and regular updates after a complaint has been filed. The President’s Task Force on Preventing and Responding to Sexual Violence and Sexual Assault consists of several UC regents, campus police officials, school administrators, victims’ advocacy group representatives, Title IX officers and students. It was created in 2014 to conduct research on how to better respond to claims and prevent sexual assault and harassment in the first place. Another concern raised by the bargaining unit is wages. UAW’s website says that “UC administration still believes 2% per year is an acceptable wage proposal. 2% is a meager $43 per month for most members, which does not even keep pace with inflation.” To solve this, the union proposed “wage parity with UC’s peer institutions and housing stipends” to keep workers competitive in the current housing market. The average salary for a UC Riverside teaching assistant is $1,959 per month, or about $24,000 per year. Editor’s note: A correction was made online to reflect David Chavez’s union title.